I dive in and around Monterey fairly frequently. I have for decades and I love it there. As divers, we always have in the back of our minds, that there exists the possibility of getting bent. But, since diving injuries are rare, we tend not to give it much thought until something happens. Whether you call it the “bends,” DCI, decompression illness, decompression sickness, or something else, the treatment is the same; recompression in a chamber. Any diver can get bent. We tend to associate DCI with long, deep dives, but there are many other contributing factors like dehydration and fatigue. Monterey Peninsula divers are fortunate to have a chamber nearby, but to keep it functioning requires resources. 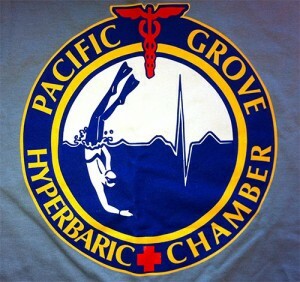 My only connection to the PG hyperbaric chamber is that I dive the area often. But, I like the peace of mind knowing the chamber is available. This entry was posted in Dive Travel, Diving News, Diving Safety and tagged dive travel, diving safety.